Why do powerful states like the U.S., U.K., China, and Russia repeatedly fail to meet their international legal obligations as defined by human rights instruments? How does global capitalism affect states’ ability to implement human rights, particularly in the context of global recession, state austerity, perpetual war, and environmental crisis? How are political and civil rights undermined as part of moves to impose security and surveillance regimes? This book presents a framework for understanding human rights as a terrain of struggle over power between states, private interests, and organized, “bottom-up” social movements. The authors develop a critical sociology of human rights focusing on the concept of the <em>human rights enterprise</em>: the process through which rights are defined and realized. While states are designated arbiters of human rights according to human rights instruments, they do not exist in a vacuum. Political sociology helps us to understand how global neoliberalism and powerful non-governmental actors (particularly economic actors such as corporations and financial institutions) deeply affect states’ ability and likelihood to enforce human rights standards. This book offers keen insights for understanding rights claims, and the institutionalization of, access to, and restrictions on human rights. It will be invaluable to human rights advocates, and undergraduate and graduate students across the social sciences. William T. Armaline is Associate Professor of Justice Studies at San José State University. Davita Silfen Glasberg is Professor of Sociology at the University of Connecticut. Bandana Purkayastha is Professor of Sociology and Asian American Studies at the University of Connecticut. She is the American Sociological Association’s representative to the International Sociological Association (2014-2018). 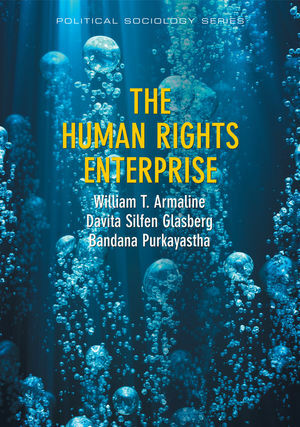 Armaline, Glasberg, and Purkayastha use riveting and insightful examples to illustrate the character of the human rights enterprise as contested terrain. Despite its flaws, the human rights paradigm continues to empower and inspire those whose lives are most compromised by the dehumanizing forces of global capitalism. This penetrating and provocative analysis brings the lens of critical sociology to bear on today's international human rights regime. It explores corporate and state abuses of power that constrain the protection and fulfilment of human rights, particularly within the United States. These abuses of power are being increasingly challenged by grass-roots movements aimed at ending gross human rights violations. The authors push the boundaries of political science, sociology, and human rights scholarship, and provide a rich and timely examination of contemporary attacks on human rights that will be helpful to both scholars and on-the-ground human rights advocates.